Solving complex problems is the main outcome of this format, improving English conversation as well. The players can release the power of their creative mind, they will be able to imagine the future. The game keeps on the chair for 1 hour, every person will touch the new disruptive problem solving approach. Hands and mind will be used to imagine, create and build something magic, the story will allow a mixed team to work better together. This cutting the edge lab is like an immersive English training. Adriano Gasparri – the facilitator – is helping the conversation during the game. The attendees are playing with Rory’s Story Cubes, cooperating and sharing theory and practice stories. 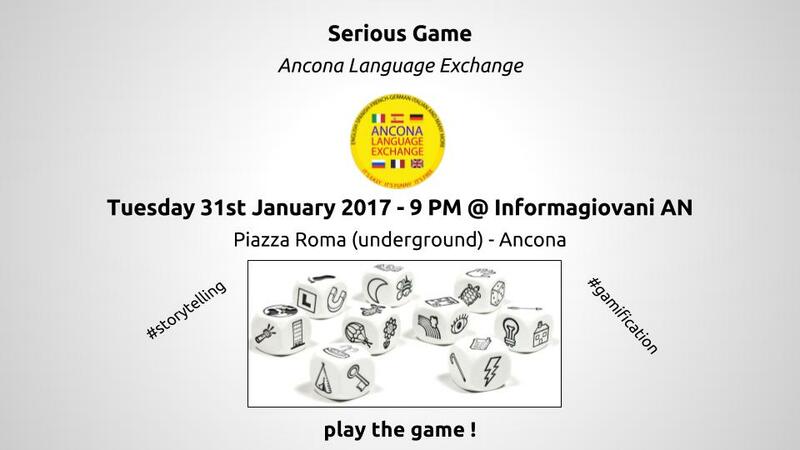 So RSVP right now, text to Gabriele +393474961301 for booking: c’mon play the game !